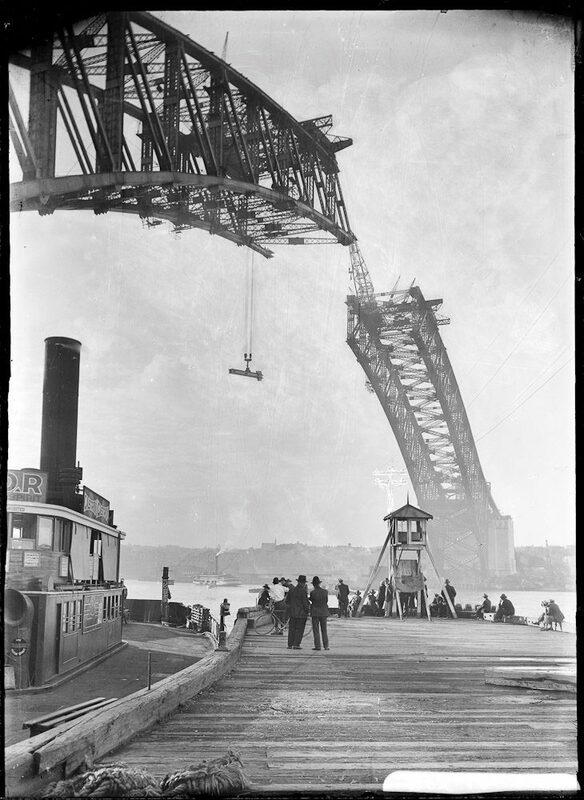 Who better to lead us on a historical romp through some of Australia’s grandest feats of design, architecture and engineering than Rod Eime, a man who scaled Sydney Harbour Bridge some 13 years before it was legal to do so? 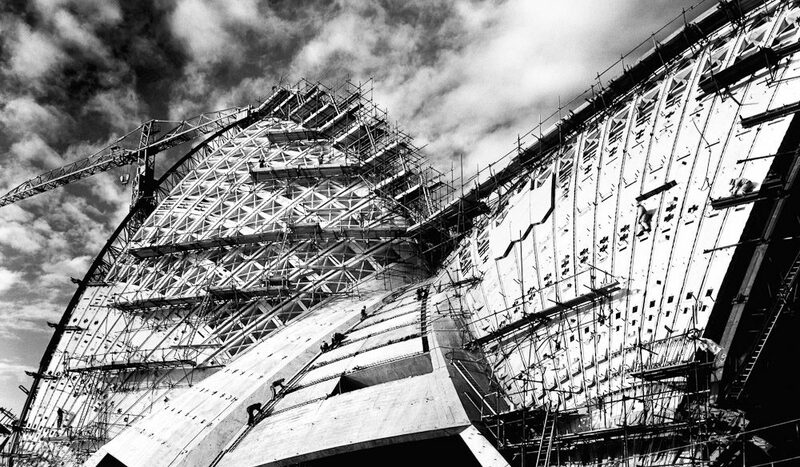 What does the Sydney Opera House have in common with the Giza Necropolis and Stonehenge? Budget overruns? Political infighting? Possibly, but most certainly these three structures are UNESCO World Heritage-listed sites signifying architectural and man-made masterpieces. 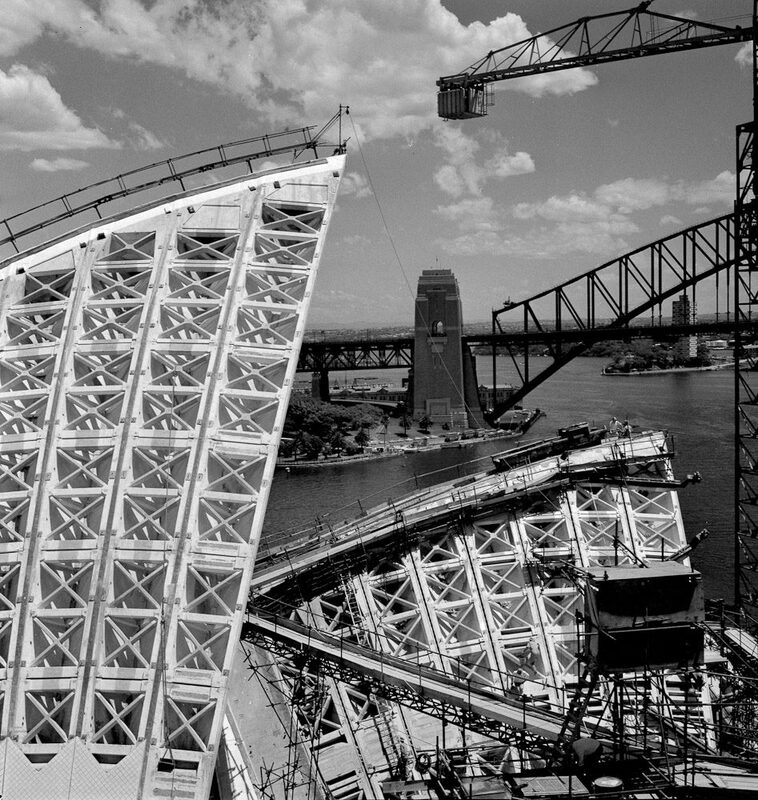 The then 38-year-old Danish architect Jørn Utzon won his eighth architectural prize with the awarding of the SOH contract in 1957. 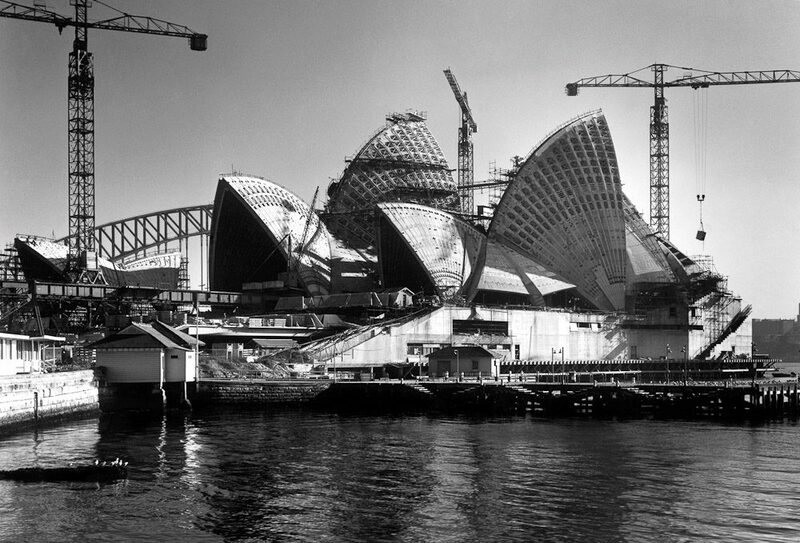 But his designs were so futuristic and outlandish that none of the prior seven had ever been built – and by the time Utzon moved his office to Sydney in 1963, he’d begun to wish this one hadn’t either. By 1961, two years after commencement, the project was already a year behind schedule. The concept of a large, multi-purpose venue was lobbied for as far back as the 1940s and finally approved in 1954. But, after much debate, the Cahill (Labor) government wanted an urgent start to bolster public opinion and insisted the project begin even before crucial designs were formalised. A change in government in 1965 to Liberal brought even more tension and Utzon finally resigned in early 1966 amid controversy. When formally opened in 1973 by Queen EII, Utzon’s name wasn’t even mentioned. “A triumph of homegrown mediocrity over foreign genius,” wrote Elizabeth Farrelly, Australian architecture critic, in December 2008. 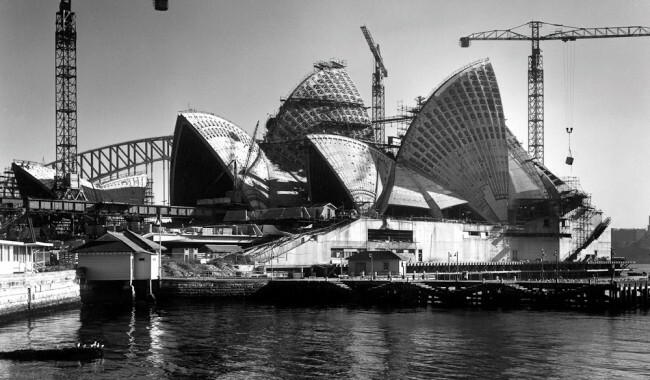 Check out www.sydneyoperahouse.com for tours and more info. The first performance in the (then incomplete) Opera House was by Paul Robeson in 1960, when he gave an impromptu recital in his rich baritone to construction workers onsite. 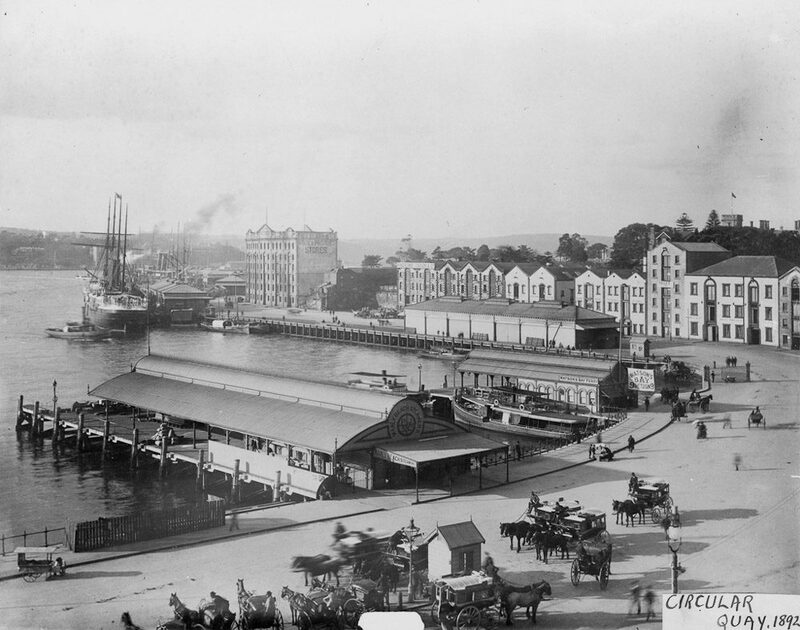 It was the famous convict architect Francis Greenway who first proposed a bridge across Port Jackson in 1815. Unsurprisingly, nearly a century passed before a workable plan was devised, and in 1916 John Bradfield’s famous coathanger design was formally accepted. WWI interrupted construction, and 799 homes and a high school were demolished in 1923 to make way for the pylons and approaches. 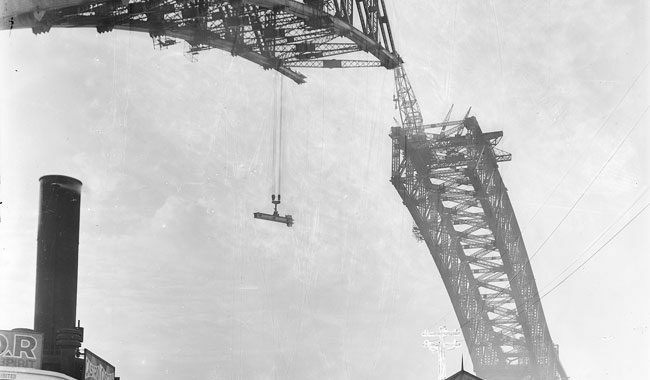 Over the ensuing nine years, six million rivets, 52,800 tonnes of steel and 45,000 tons of Moruya granite were used to complete what would become Sydney’s tallest structure, at 134m, until surpassed by Australia Square in 1967. Dramatic images of workers suspended over the harbour show the precarious working conditions and lack of safety, and while 16 workers died during construction, only two fell into the water below. 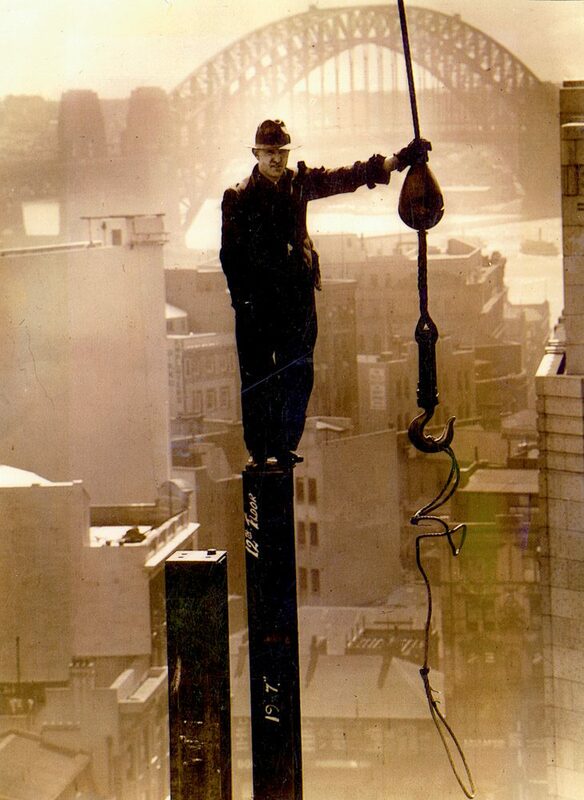 The sole worker to survive this was an Irishman, Vincent Kelly, who landed feet first with his hands protecting his head – although urban legend has him dropping his tool belt/spanner/hammer to “break” his fall. He was back at work after six weeks of recovery. The opening on March 19, 1932, will always be remembered thanks to sword-wielding right wing extremist Francis de Groot’s upstaging of Labour Premier Lang’s ribbon cutting. 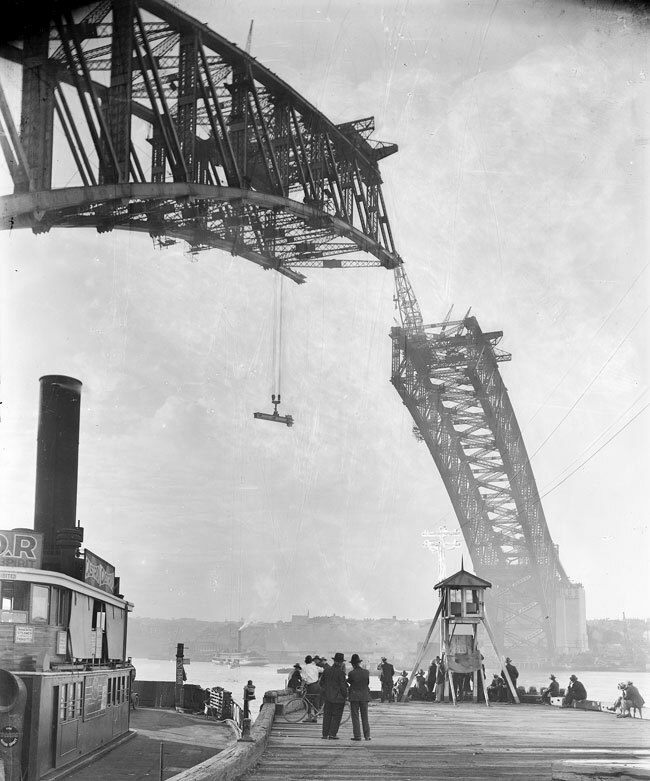 Visit www.shfa.nsw.gov.au and www.bridgeclimb.com for more info. Before the official Bridge-Climb was established in 1998, illegal climbers would access the inside of the lower arch and exit via a manhole at the top. This writer climbed the bridge that way in January 1985. Australia’s grand plan to build its own submarines turned out to be one of the most controversial and expensive defense exercises ever. Planning for the replacement of our aging but much-loved ’60s-era Oberon-class vessels began in the 1970s and, for better or worse, it was decided to build them in Port Adelaide. Our unhappy preoccupation with Scandinavian design led to the acceptance of a Swedish proposal, and work on the Australian Submarine Corporation construction facility began in 1987. 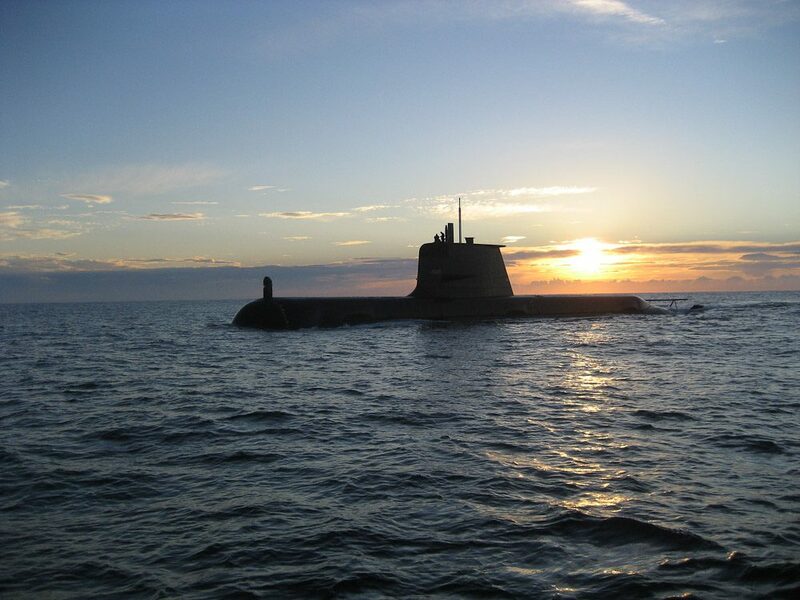 Sixteen years and $5 billion later, HMAS Rankin, the last of six submarines, was delivered, each one on average two years late. At that rate, it would have taken Germany 2700 years to build the fleet of more than 1000 U-Boats they launched during WWII. 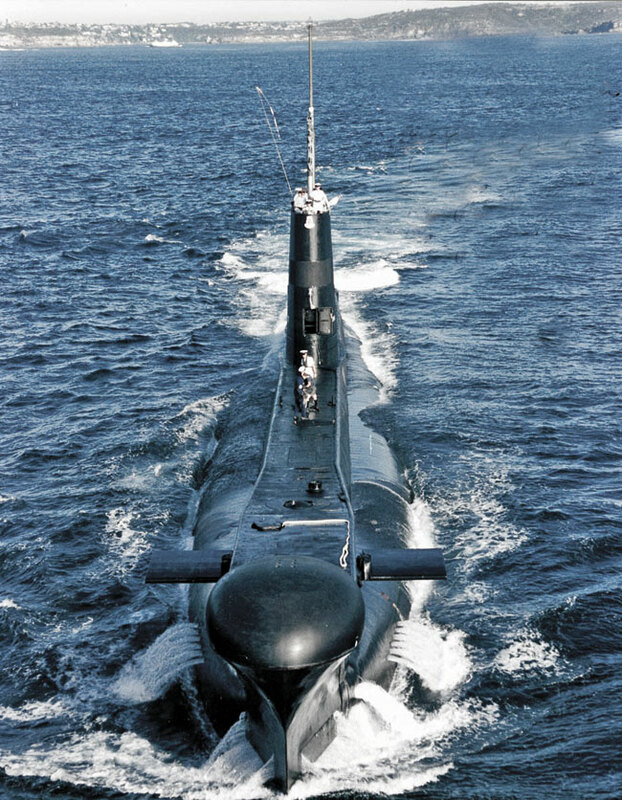 Critics of the Australian subs were vociferous, homing in on their noisy underwater signature, budget overruns, construction, design and engine issues and now crew shortages. As of January 2010, we had only one vessel ready to put to sea. 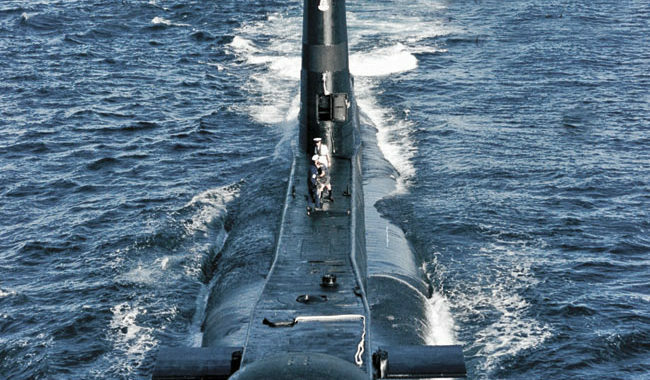 A replacement project for the Collins class was begun in 2007. Navy buffs will have to wait until 2025 to see a Collins in a museum, but our Oberons can be visited. One (HMAS Onslow) is floating at Sydney’s Maritime Museum, while another is dry-docked in Fremantle (HMAS Ovens). The land-locked sub in Holbrook NSW (HMAS Otway) is just a shell, and the rusting hulk in Victoria’s Westernport Bay (HMAS Otama) was passed in on eBay. Check out www.asc.com.au for more info. The Collins, like most modern subs, travels twice as fast (21 knots) underwater as it does on the surface and can dive to 180m on a good day. Since 1879, vast tracts of Australia’s northwest both attracted and punished the pioneers and cattlemen who sought to tame it. The extremes of wet and dry alternated between plenty and nothing. It never rained; it poured. 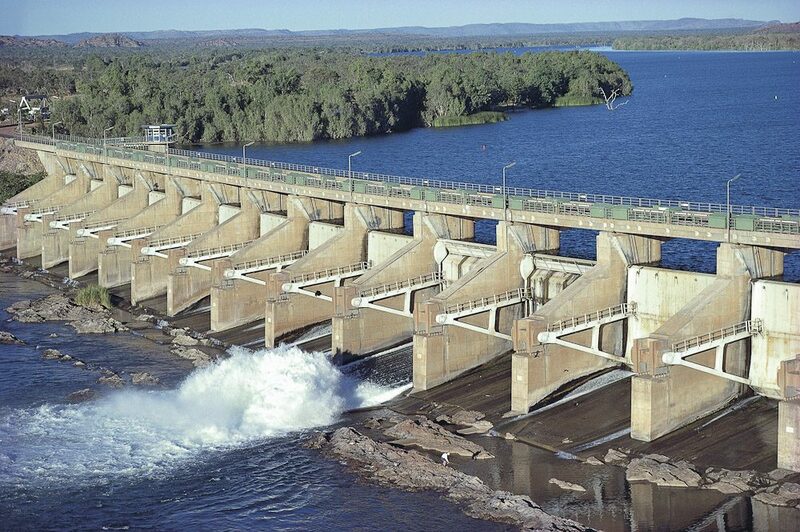 Plans for dams, experimental farms and irrigated pastures were trialled as early as the 1920s but it wasn’t until 1963 that construction began on a large-scale dam to enclose the waters of the Ord River. PM Billy McMahon opened the scheme in 1972 to great fanfare. Unfortunately, the planned rice crops only fed the flocks of ravenous magpie geese, while the much-vaunted cotton plantations were annihilated by the bulletproof Heliothis moth. Researchers are developing a pest-resistant cotton plant that may be re-introduced. Today the 117km2 area of farmland produces viable crops of fruit, vegetables and Indian sandalwood. There are plans to expand this area to more than 400km2. 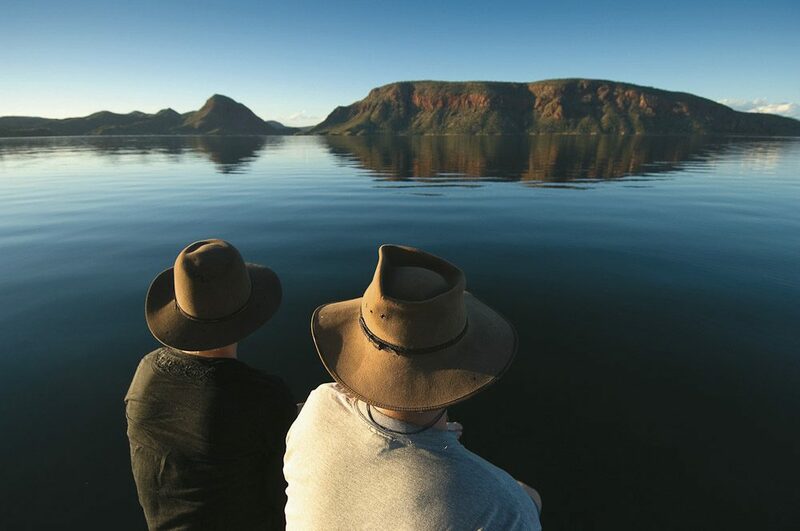 Lake Argyle has also created a useful sanctuary for 26 species of native fish, including the evocatively named Sooty Grunter and legendary Barramundi. However, the recent cane toad invasion is being monitored cautiously. Check out www.lakeargyle.com.au for more. 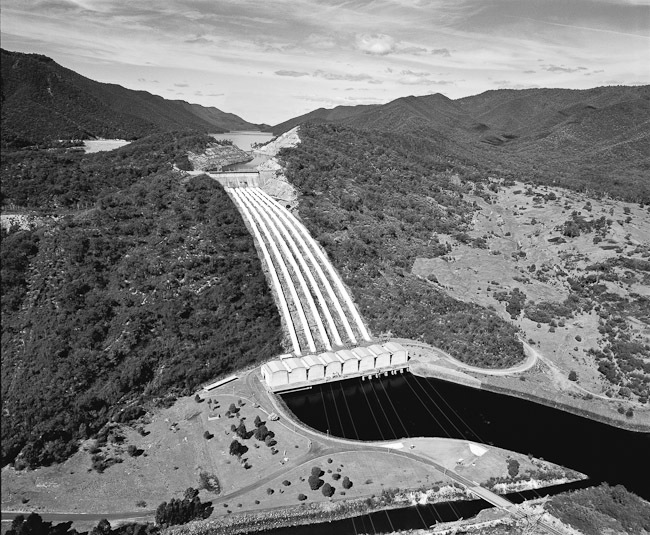 The volume of water in Lake Argyle exceeds 10 million cubic metres; nine times that of Sydney Harbour. 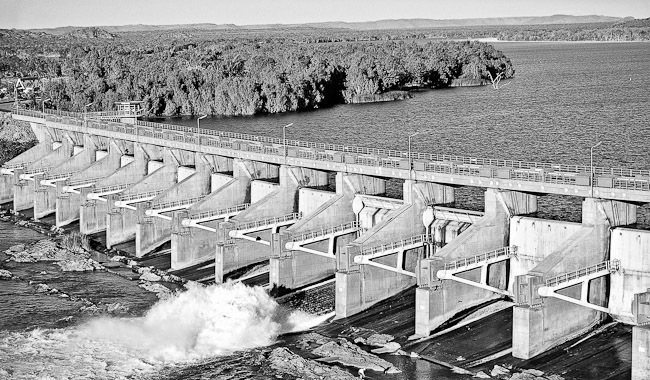 Warragamba, by comparison, holds less than half that of Lake Argyle when full. The idea of a railway from Adelaide to Darwin was first floated in 1858 and by 1878 the first sods of earth were turned. On February 4, 2004, the first train rolled into Darwin. This relaxed pace of construction requires some explanation. 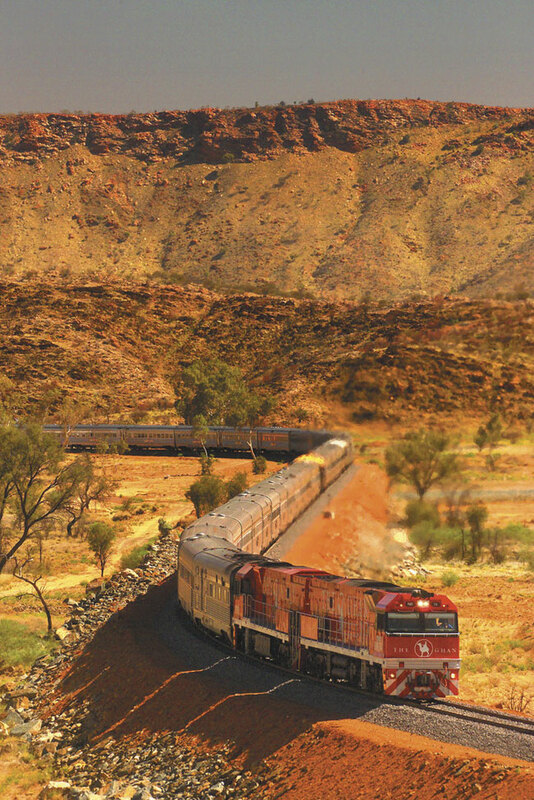 The first southerly section to Alice Springs following the original route of John McDouall Stuart was completed in 1929, then abandoned in 1980 when the old narrow-gauge line was falling apart. The northerly section got as far as Birdum, 317 old miles from Darwin, leaving wartime truck convoys to make a 12-day, 2000km roundtrip delivering urgent material. The Adelaide to Alice section was realigned and completely rebuilt in 1980; the northern section ground to a permanent halt in 1976. Today the Ghan is a modern standard gauge railway of just under 3000km, taking 54hrs at 85km/h, including stops. The old sections can still be seen and some of the old infrastructure is still preserved, although the old tracks have long since been removed. A drive along the old Oodnadatta Track takes in many of these sites and the Ghan Preservation Society runs occasional trips on a restored section out of Alice Springs. See www.gsr.com.au for more info. Instead of spacing sleepers at 670mm on the Ghan, the new concrete, termite-proof ones were spaced at 720mm, saving 150,000 units and pots of money. 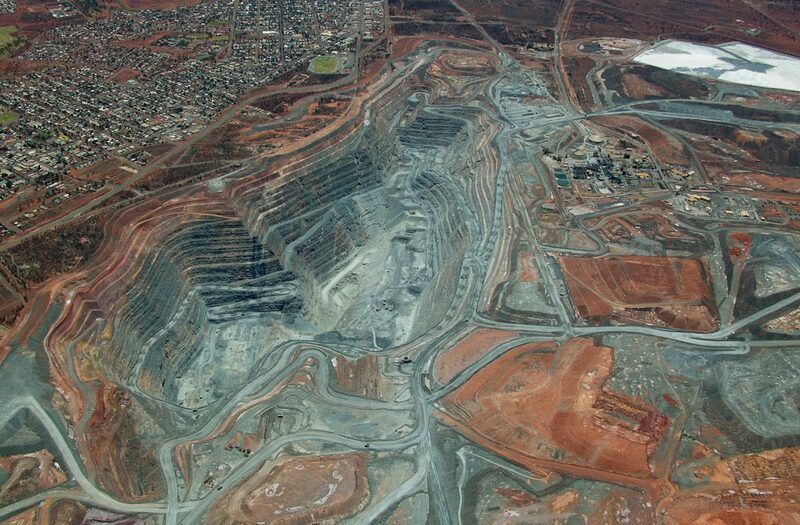 Famous for big holes, the Kalgoorlie Super Pit was the brainchild of renowned gold digger Alan Bond. In the 1980s, Bond was busy buying out all the minor leases on The Golden Mile, the original site of Paddy Hannan’s discovery in 1893. Bond figured that the best way to get the gold out was to combine all the struggling little mines into one big one and dig like crazy. 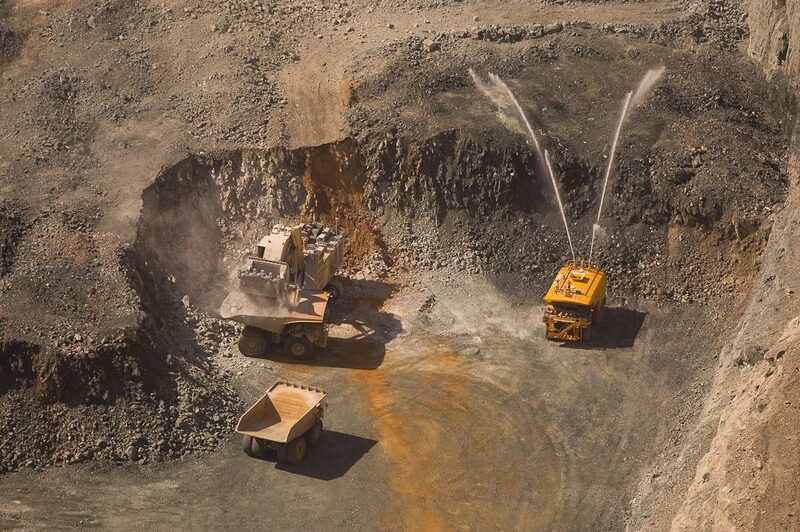 Unfortunately, Bond had dug himself into other holes he couldn’t get out of and the project was completed by a new company, Kalgoorlie Consolidated Gold Mines (KCGM) in 1989. 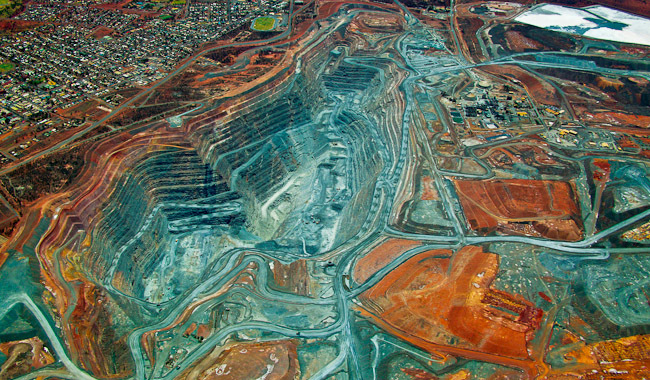 The Fimiston Open Pit (aka “Super Pit”), Kalgoorlie-Boulder’s famous landmark, will eventually stretch 3.8km long, 1.5km wide and go down more than 600m. Yes, you can see it from space, but from the public lookout you can see the massive CAT 793 mining trucks hauling 225 tonnes of rock and ore per load. 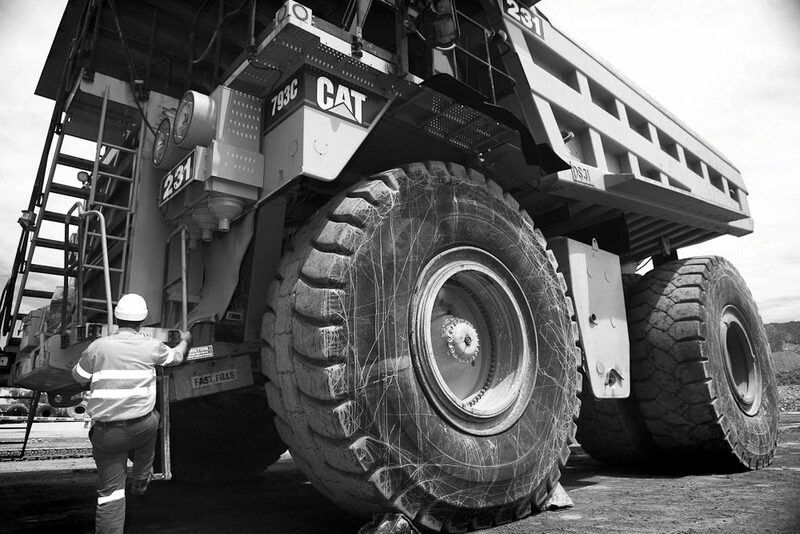 These beasts have 16-cylinder, 85litre quadruple turbo-charged diesel engines and many are driven by women. How come? Girls are believed to be gentler on the machinery and less prone to recklessness. Check out www.superpit.com.au for regular tours and more info. 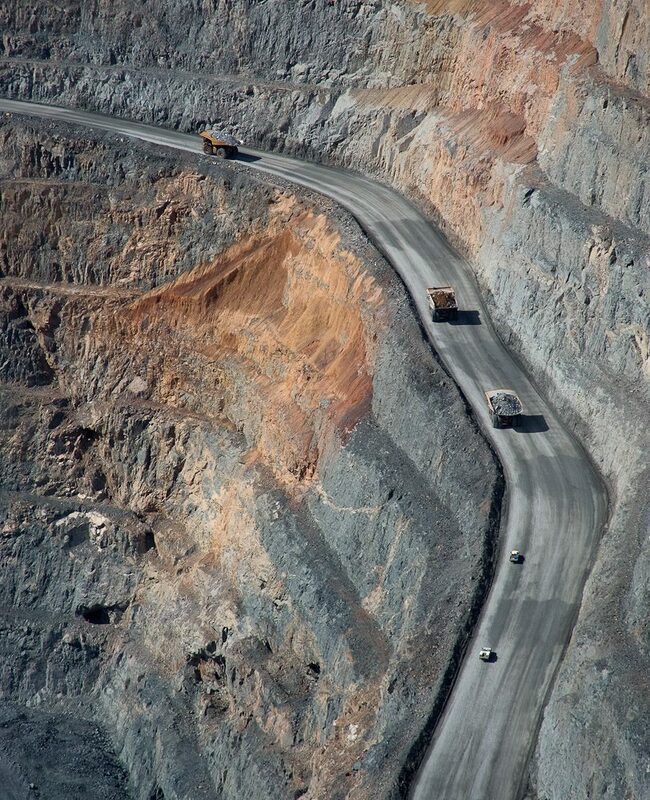 The Super Pit operates around the clock every day of the year to produce almost 30 tonnes of gold annually. Regular tours are conducted by Finders Keepers in Boulder. Blasting occurs at 1pm daily. They said it couldn’t be done. The weather was foul, the terrain impossible, the loads unmanageable and the technology non-existent. Such was the assessment by numerous contemporary surveyors on the task of transporting gold and copper from the mine at Queenstown to the port at Strahan. 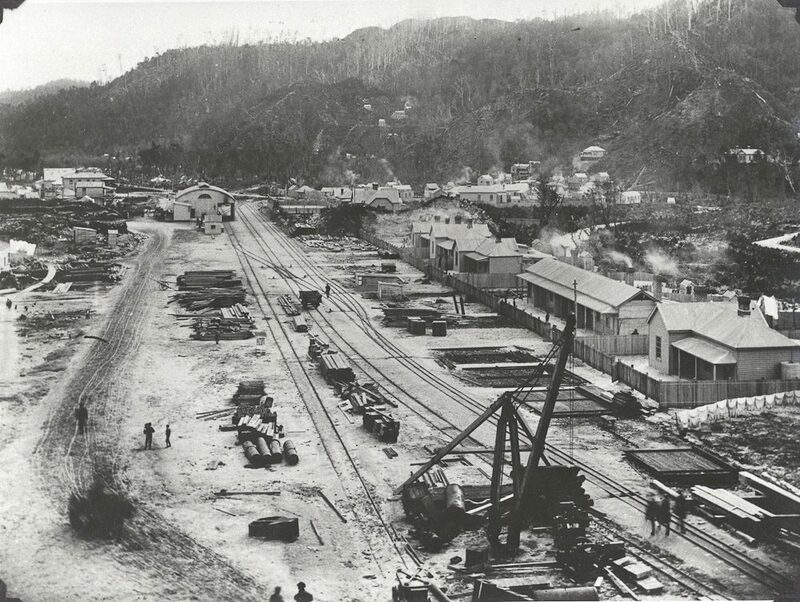 Yet despite these discouraging reports, the Mount Lyell Mining and Railway Company was formed in 1893, determined to extract their rich lode of copper, silver and gold and get it to market or go bust trying. Company engineer Frederick A Cutten boldly proposed a new and unfamiliar railway system just introduced in Europe; the Abt rack and cog mechanism. Their backs to the wall, the company backed Cutten and the rest is history. It took two and a half years to hack the track out of the mountains, but the triumphant little railway operated until 1963 when a road was finally built and the infrastructure removed. 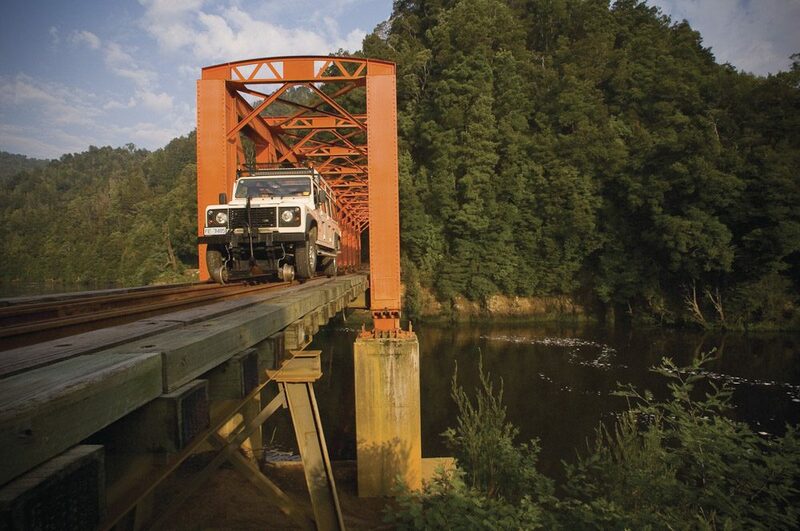 In 2002, reconstruction of the railway as a tourism project was completed to compensate for the loss of the mine and shelving of the Franklin Dam. Original, century-old, Scottish-built engines were restored and the line and buildings replaced almost exactly to original surveyors’ plans. 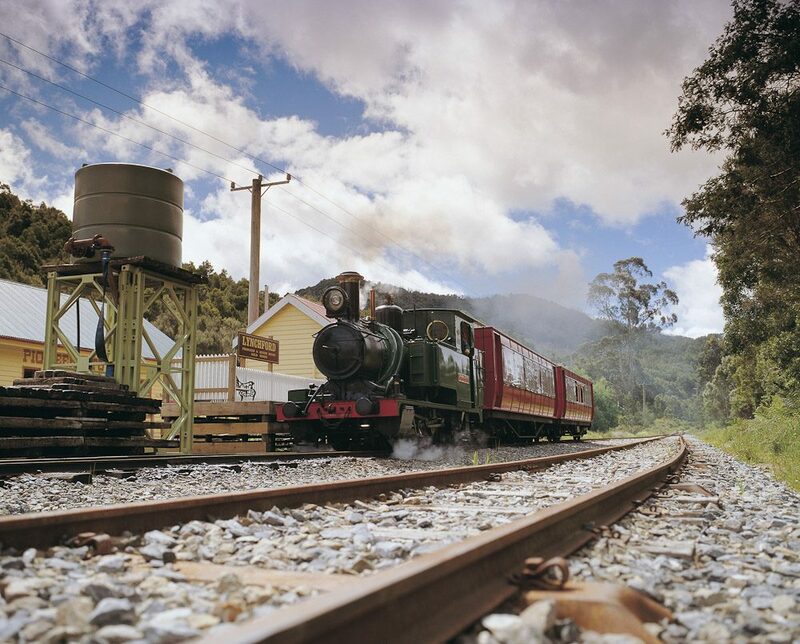 Acquired by Tasmanian hoteliers The Federal Group, the new railway runs daily all year round. See www.puretasmania.com.au for more info. 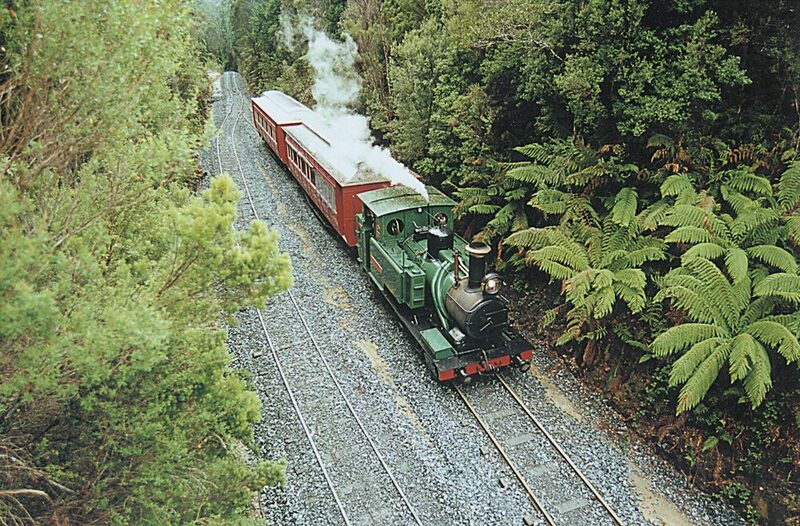 The Mt Lyell Railway engines hauled loads up a 1 in 16 (6.25 percent) gradient, operated by a cylinder driving a toothed cog meshing with a centre rack. Typically, a 1 in 20 (five percent) gradient was a workable limit for regular locomotives. It’s the big one. A quarter of a century in the making, more than 100,000 people from 30 countries worked on the scheme, with nearly 8000 on the job at any one time. At a final cost of $820 million, this gigantic project of 16 dams, seven power stations and 225km of tunnels and aqueducts actually came in on time and on budget. Begun in 1949 with a workforce of mainly European refugees and immigrants, the project was hailed around the world as a monument to civil engineering, multi-cultural cooperation and political efficiency. 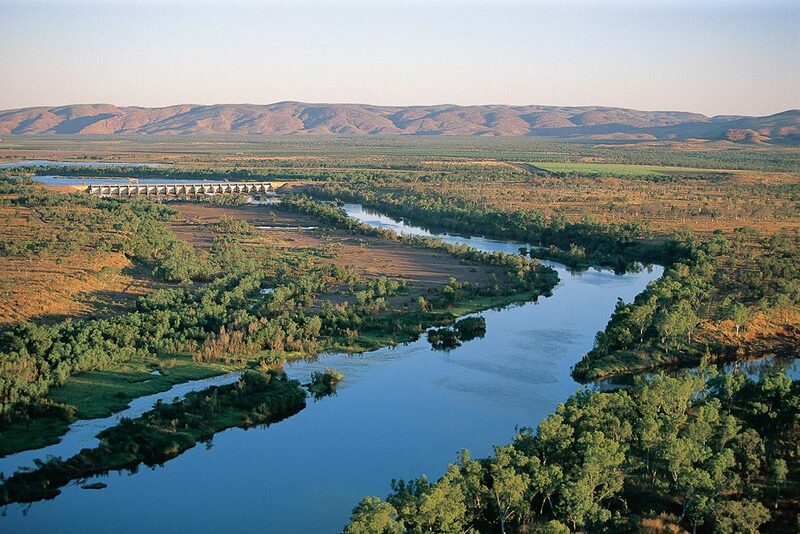 Recent re-examination of the aftermath has revealed severe environmental concerns for the Snowy River and its knock-on effects for the Murray-Darling Basin, due to the almost complete blockage of the host river’s normal flow. 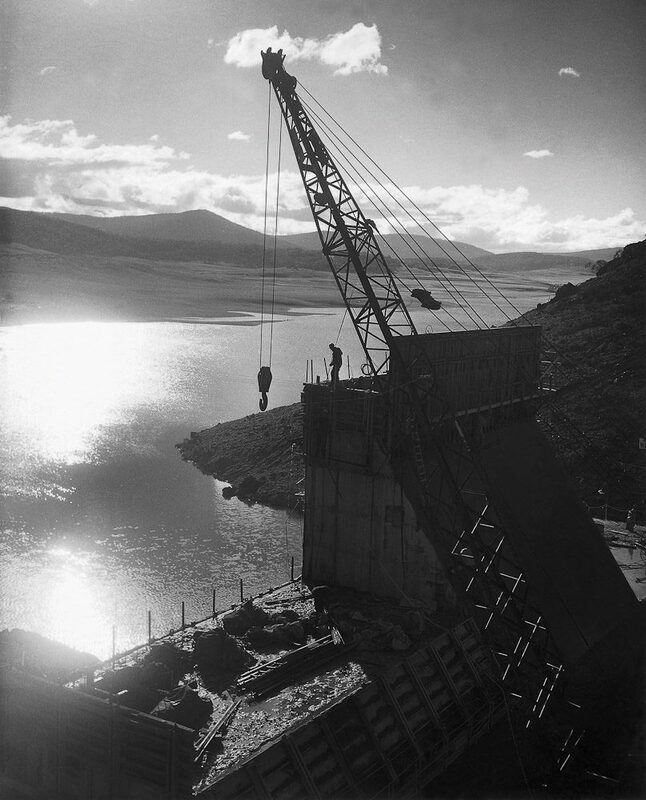 The Snowy Mountains Scheme is undergoing a seven-year, $400m upgrading and modernisation project. This includes the completion of a spillway upgrade to facilitate environmental flows. 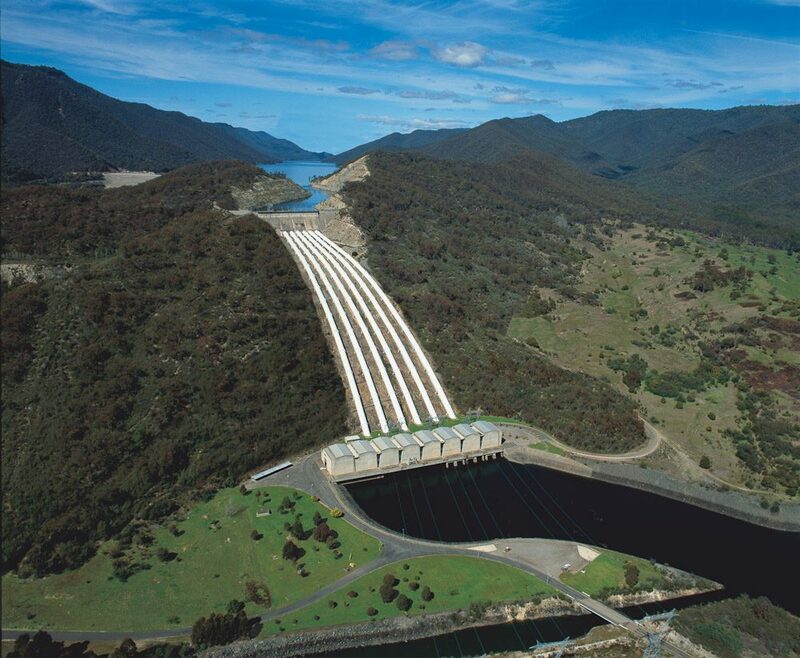 Check out www.snowyhydro.com.au for more info. The scheme provides 2100 gigalitres of irrigation water yearly, nearly 4000 megawatts of renewable electricity and covers an area of over 5000km2. Only 2% of the infrastructure is aboveground. Snowy Mountain engineers also perfected the Rock Bolt, a tension bolt that, when inserted upward into the rock, created a self-supporting arch structure.